Personal financial wealth around the globe rose by 12% last year with Switzerland remaining the world’s biggest centre for managing offshore wealth at $2.3 trillion – with Hong Kong and Singapore in second and third place respectively, according to a new report. Figures revealed in a Boston Consulting Group report, published last week, highlighted that Switzerland – which has the equivalent of almost one third of all global overseas wealth – is ahead of Hong Kong ($1.1trn) and Singapore ($900bn) as the world’s largest offshore centre for wealth. However, the two Asian centres have grown at yearly rates of 11% and 10% respectively over the past five years, compared with the 3% rate of Switzerland, the report found. “Over the next five years, offshore wealth seems likely to continue growing at a (compound annual growth rate) of roughly 5% per year,” the report stated, with the appetite for housing offshore wealth in Swiss banks still strong. This is despite moves by large wealth managers including Swiss banks UBS and Credit Suisse to increasingly look into Asian market as Swiss banking secrecy has been weakened in recent years. 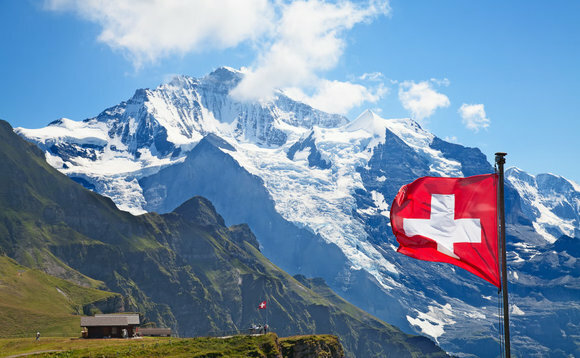 Stronger transparency rules and the automatic exchange of information through new rules relating to beneficial ownership, were expected to have reduced offshore wealth in Switzerland, but the report highlights that the shift has stalled due to geopolitical uncertainty. “In these times, rich clients are looking for havens of stability for parts of their wealth,” Boston Consulting’s Matthias Naumann said in an interview on Swiss TV channel SRF. “Switzerland offers financial and political stability as well as legal certainty, privacy protection and access to financial markets. Switzerland does well in all these criteria,” Naumann said. The majority of the overseas wealth in Switzerland comes from Germany, France and Saudi Arabia the report added.